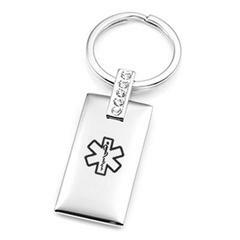 This classy medical id alert keychain made of shiny stainless steel with four bright and beautiful clear Crystals. The edges are tapered to add to its classy look. 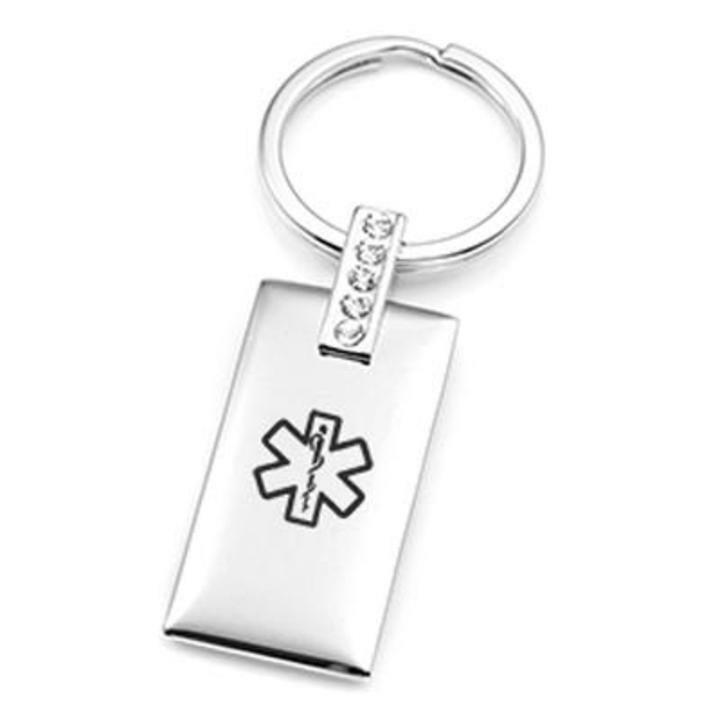 This unique medical id alert keychain comes with the medical symbol laser engraved on the front.